Hello! How are you? Are you ready to make the coolest lamp for your home? My new lamp took an afternoon to put together, no wiring necessary but your creativity and four DIY supplies ? First, choose a clear bottle of wine and wash it and remove the wine label with soapy water. 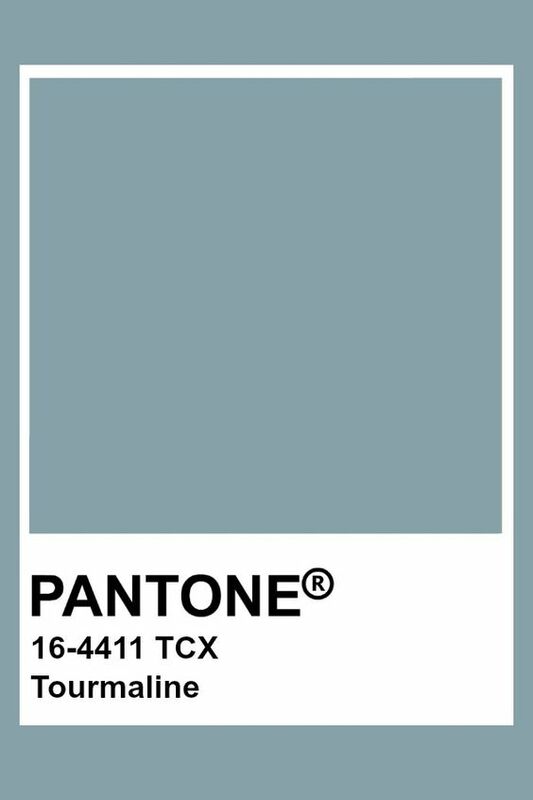 Place the bottle of wine outside and upright, on top of a few newspaper sheets and start spraying the bottle with “Tin It” Spray in “chartreuse color. Apply as many coats of spray as you’d like. The more layers you spray the more intense the green color. Spray two coats of protective matte spray. 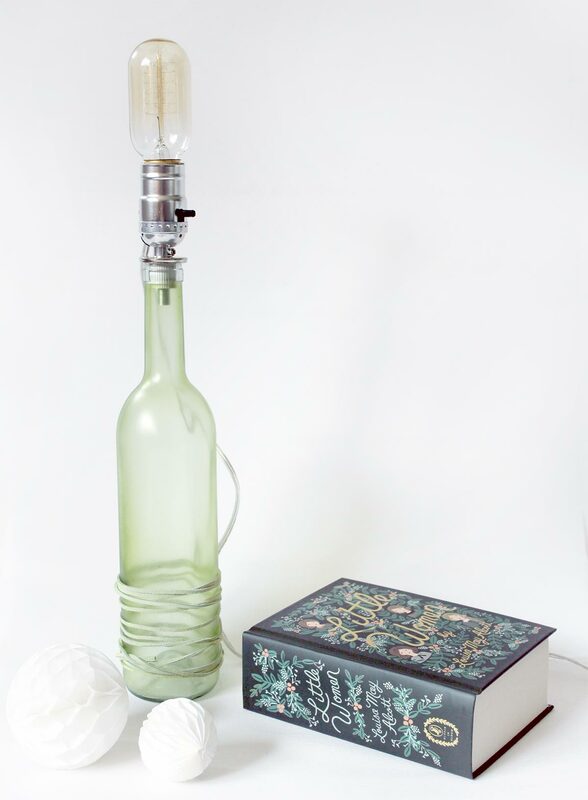 Follow the instructions of the bottle lamp wiring kit. I bought mine at Amazon for $14 – very reasonable. In fact, the makers of the bottle lamp wiring kit have a great tutorial for how to put the kit together. 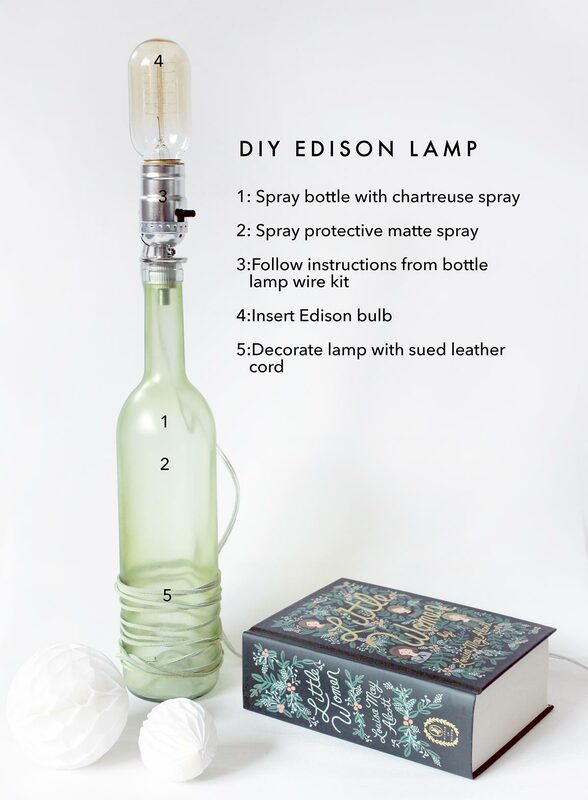 Finally, screw in the Edison bulb and test your lamp! Optional decor: wrap the bottom of the bottle with green suede leather cord to give the lamp more character. Share my post by clicking on the buttons below ;) Also, if you haven’t subscribed to my newsletter list, use the pink form below. The newsletter is filled with goodies and sales alerts ?